Meet Mary. 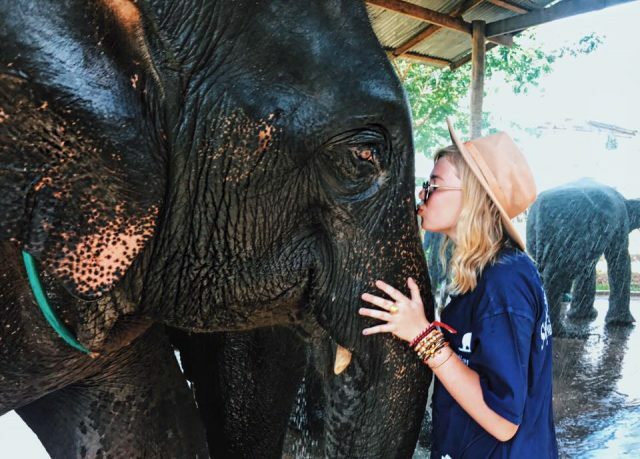 Mary traveled to Thailand this past summer with Rustic, and returned home to Alabama and immediately started training for her first half marathon to fundraise for a cause that became beyond important to her after her time in Thailand. Where did you go with Rustic? I traveled with Rustic on the Hill Tribe Service and Elephant Conservation in Thailand! 2017 was my first summer traveling with Rustic, but I wish I had heard about Rustic sooner! My trip with Rustic was the most exciting and humbling experience of my entire life. I met the most incredible people on my trip including so many of the locals. Being immersed into the Thai culture was so inspiring; the people there are so happy, driven, kindhearted, selfless, and grateful. Without a doubt, this was the best trip I have ever taken, and I am forever thankful for Rustic Pathways for giving me the opportunity. Why did you want to fundraise to support the Children’s Home? 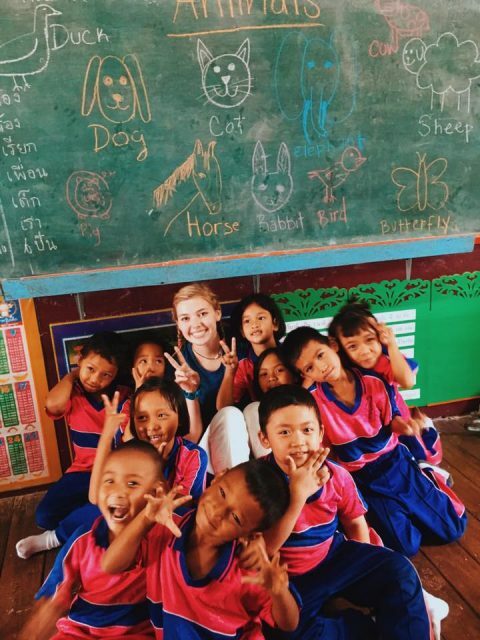 I chose to fundraise for the Access to Education: Hill Tribe Support Project through the Rustic Pathways Foundation because of the overwhelming love I witnessed there. The amount of gratitude that the children who live there have for education amazed me because so often in America we take education for granted. The Thai students were so willing to share their language and stories with us Rustic students, and it totally changed how I walk through life. How did you decide to raise money through running half marathons? I wanted to spend more time outside experiencing the world around me. When I became a Development Ambassador and started pondering fundraising ideas, I did some reflection of my trip to Thailand. I remembered talking to a Muay Thai instructor on a morning walk one day, and he said that he walked for at least an hour every single morning. He spoke to me about how important it was to take advantage of every moment of sunlight and how far our feet can take us; I took it both physically and symbolically. I owe him for the idea to start running. I was not a runner before I started my fundraising, and since beginning, I have fallen in love with the sport. How much did you raise this year? As of today, I have raised $820 or ฿26,740.20 (Thai Baht) for the Rustic Pathways Children’s Home. What advice about fundraising would you give a fellow Development Ambassador? Find something that you are passionate about and figure out a way to combine it with your fundraising. Reflect on your personal Rustic journey and what it really means to you. How did it impact you? You could challenge yourself to take up a new craft like I did, and then it makes it so much more fun to fundraise! Sharing my fundraiser on all of my social media accounts also definitely helped out! Get others excited about your project! Fundraising can be so exciting if you make it! Thank you so much to Rustic Pathways for giving young travelers the opportunity to change their own lives and others. I would not be the person I am today without this organization. Learn more about how to become an Impact Ambassador to start making a difference in the community you visited with Rustic.